Feel Stronger. Look Stronger. Be Stronger. Please read how to get started as a member under the GETTING STARTED section of our website. All pre-paid packaged sessions sold must be used within 90 days or be forfeited. All members must complete a Recurring Payment Plan Authorization Form when signing up for their coaching sessions. If you need to cancel a personal coaching session, please give us 24 hours notice. If you do not give us 24 hours notice, you will forfeit that session. Our coaches are paid for their time and it is unprofessional to cancel the day of your session. Please make sure to give us enough notice ahead of time so you do not lose your session. If you need to cancel your membership, please give us 2 weeks notice. Effective March 1, 2019, you will be able to suspend your membership up to three months only. For each month you are gone, you will be charged $20/month to maintain your membership in the system. If after three months, you do not return and you have not contacted us, your membership will be deleted. If you decide to return after your account has been deleted, there is a $30 reinstatement fee. Family membership requires that all members reside at the same home address. 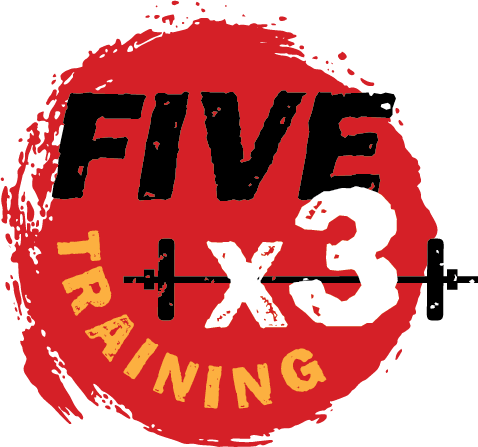 Please contact us at info@fivex3.com if you would like to drop in for training. Drop in fee is $25 for barbell training.